The U.S. Department of Energy has green-lit the construction of a 3.2-gigapixel digital camera for the Large Synoptic Survey Telescope (LSST). Once complete, the instrument will be used by astronomers to study everything from the Big Bang to the motions of nearby asteroids. The LSST is expected to detect tens of billions of objects over the course of a 10-year span. It’ll be the first time that a telescope will observe more galaxies than there are people on Earth. The telescope will also help scientists determine the properties of dark matter and dark energy in the universe. And as the Lawrence Livermore National Laboratory (LLNL) just announced, the LSST will also be equipped with the world’s largest camera. Once complete, it’ll be about the size of a small car and weigh more than three tons. The camera will capture images at an extraordinary 3.2-gigapixel resolution. To put that into perspective, it would take 1,500 high-definition television screens to display a single picture snapped by the camera. The camera is being built by an international collaboration of universities and labs, including the LLNL, Brookhaven national labs, and SLAC National Accelerator Laboratory at Stanford. 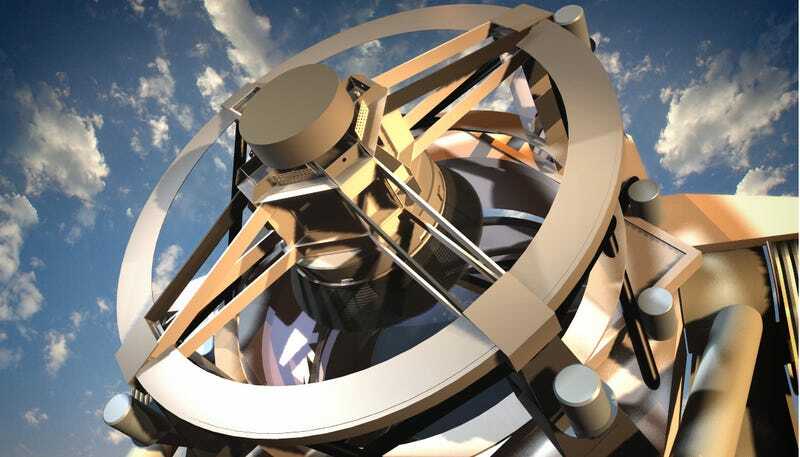 Approved last year, the wide-field survey reflecting Large Synoptic Survey Telescope is currently being built on the El Peñón peak of Cerro Pachón, a 1.6 mile (2.6 km) high mountain in northern Chile. It will feature an impressive 8.4 meter primary mirror that will scan the entire available southern sky every few nights. The $27.5 million telescope will enter into its initial testing and calibration phase in 2019, and is expected to be fully operational by January 2022.